The National Pest Management Association (NPMA), a non-profit organization with more than 7,000 members from around the world, was established in 1933 to support the pest management industry’s commitment to the protection of public health, food and property. This commitment is reflected both in the continuing education of pest management professionals and the dissemination of timely information to homeowners and businesses. 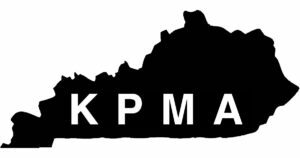 The Kentucky Pest Management Association has spent over 80 years providing essential tools to help members train their service professionals, grow their business, save money, and market themselves to new customers. The Ohio Pest Management Association promotes education and ethics for the pest control industry; fosters research and diffusion of knowledge of the industry among its members; and cooperates with the National Pest Management Association and with governmental and educational authorities for the good of the community and industry.